The Boiler Shoppe is an accredited distributor and installer of Viessmann boilers. Need a new boiler? Consider a Viessmann. Designed using the latest technology and manufactured from the highest-grade materials, Viessman boilers are made to last many years. Additionally, the Viessmann boilers range for domestic use was established on the company's established reputation for top of the range commercial heating systems. The knowledge and experience defined the quality benchmark not only for its own products, but also for the competition. What Sets Viessmann Boilers Apart? Viessmann boilers are available in a variety of premium options to suit every budget. The quality extends to the controls, which are manufactured specifically for the products, ensuring consistent performance. When you buy a Viessman boiler, you can rest assured that your new quality appliance is backed by many years of home heating and plumbing expertise. All the boilers in the comprehensive, German-engineered Viessman boilers range set new benchmarks in cutting-edge technology. Not only are you backed by years of German engineering expertise when you buy a Viessmann boiler, but you also benefit from years of cutting-edge technology. Additionally, many of the Viessman boilers carry comprehensive 5-year warranties on parts and services. 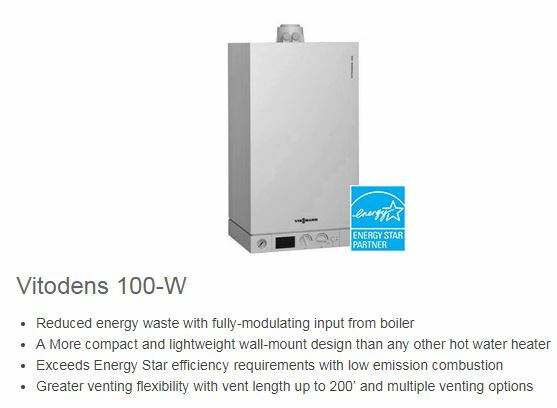 If your chosen boiler has a shorter warranty, it may be extendable if a Viessmann trained installer performs the installation. As an accredited reseller and installer of Viessman boilers, The Boiler Shoppe can help you find the best Viessman boiler for your needs and install it according to factory recommendations. Get in touch with The Boiler Shoppe today.